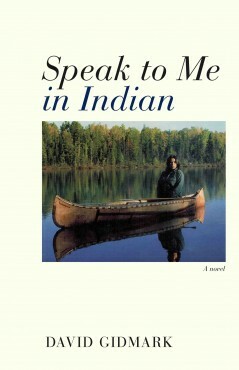 In Books Tagged In aboriginal fiction, aboriginal literature, David Gidmark, Indigenous culture, Racism, residential schools, and Speak to Me in Indian. Shane Bearskin, a Cree from James Bay, and Theresa Wawati, an Algonquin from Northern Quebec, are united by a profound love and a visceral attachment to their cultural heritage. Both have experienced the challenges that face so many young people from indigenous communities. Though they are now studying in Montreal, they are determined to buck everything modern society would impose on them and return to live in the bush, like their ancestors, and have a baby. David Gidmark is the author of ten books. Born in Winsconsin, he has lectured on the birchbark canoe throughout the world, including at the Smithsonian Institution. David Gidmark lives in Maniwaki, Québec. her, but as important to her as it was to him. “Do you miss your children?” he asked gently. her to him and put his arm around her.